This week's featured photographs are from John Slater. John and I worked together for a few years in Pasadena. 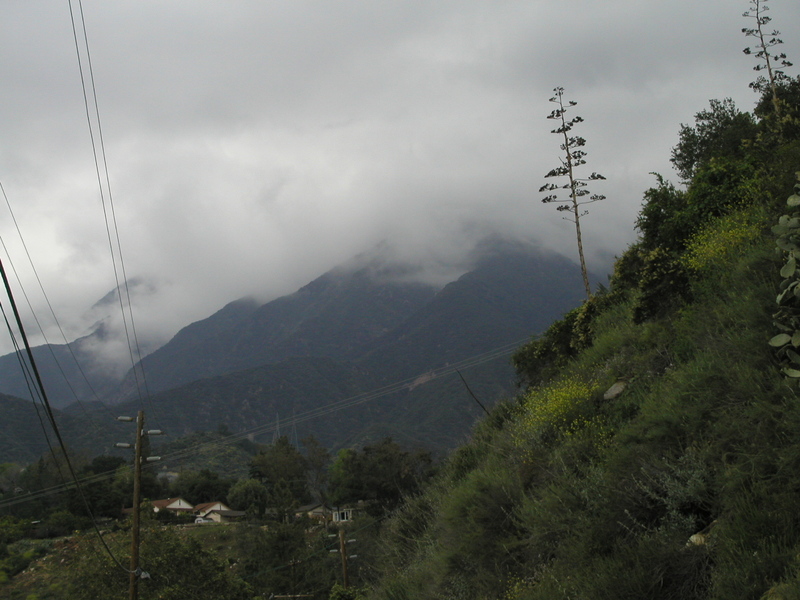 He lives just north, in Altadena, a small township bordered by Pasadena on the south, the Angeles National Forest on the north and sandwiched between La Cañada and Sierra Madre on the west and east respectively. John explains, "access to mountain trails and nature walks, complete with streams and bridges, are found through the township. 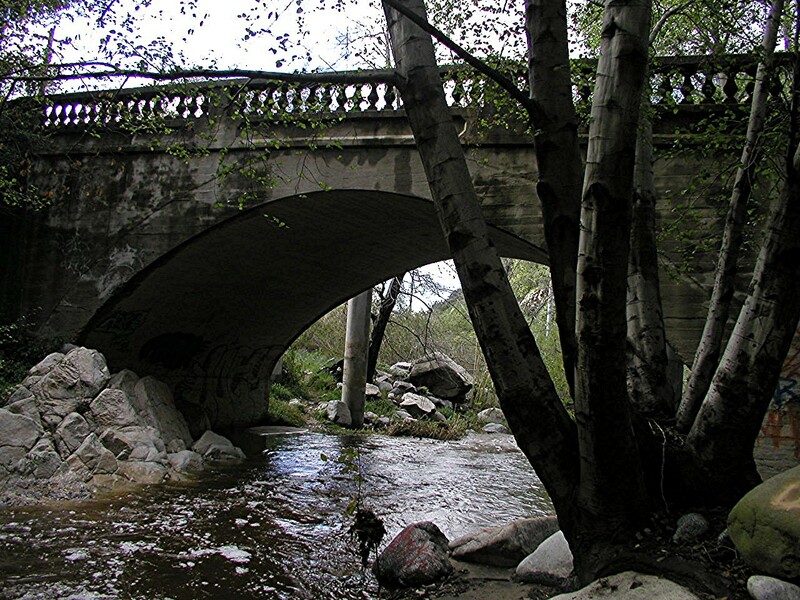 Arroyo Seco, arguable the most popular one begins at the Jet Propulsion Laboratory (JPL) and winds into the forest for many miles. 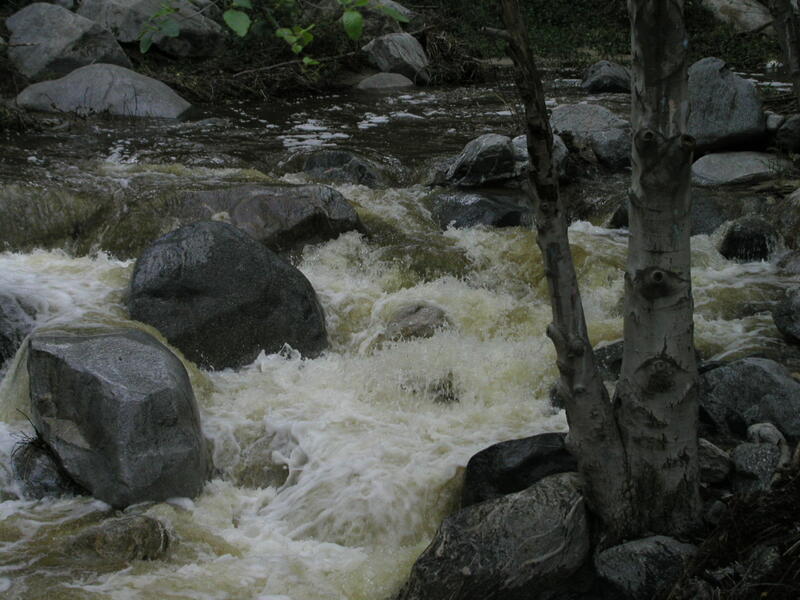 These pictures were taken along this trail a day after the spring rains." Note: These are quite large, high-resolution photos and clicking on each image will open a new window that is best viewed expanded to full screen. 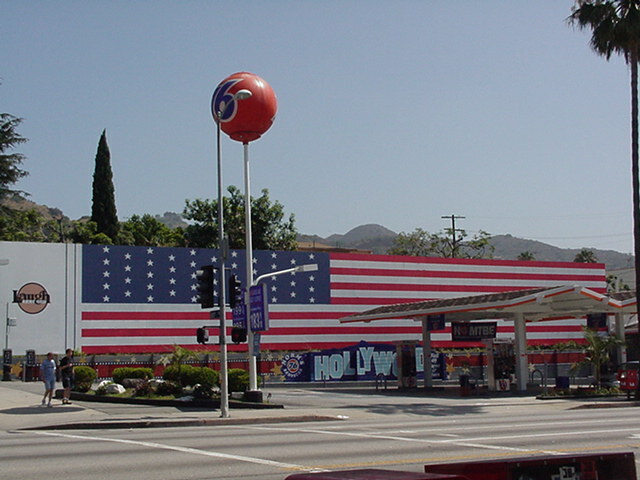 This was the Fourth of July weekend and this is the "local big flag" at the corner of Laurel Avenue and Sunset Boulevard. But it's not for the Fourth. It's been here for more that a year at the Union 76 station. 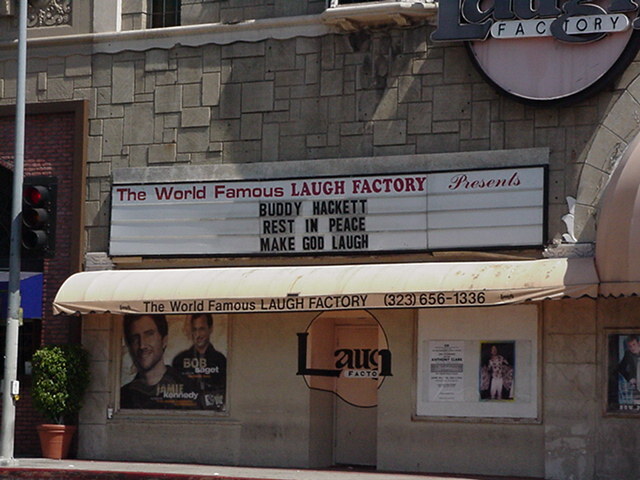 Buddy Hackett passed away this week, and a few feet to the left of the big flag is the Laugh Factory, with the notice that Buddy's new task is to make God laugh, as you see. I'm not sure how Buddy is going to do that. A block down the hill from the flag and the Laugh Factory is Fountain Avenue, where all the French nationals seem to live, as you can see from what is parked on the street. 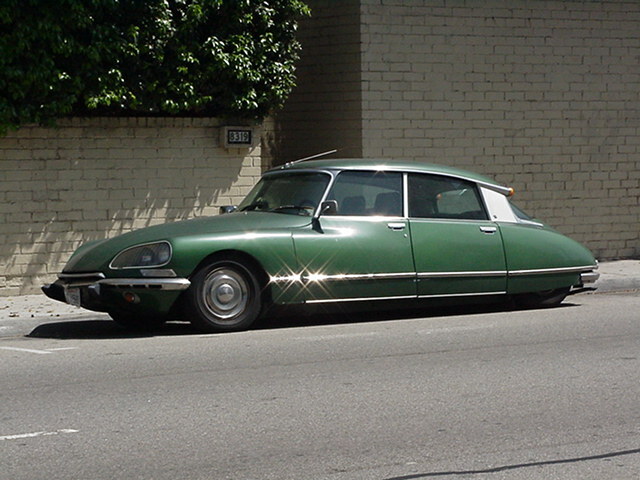 This is, indeed, a Citroën. The big day down on Fountain is not the Fourth but the Fourteenth, obviously.